Prysmian Hook Cleats (aluminium cable clamps) are two piece, single fixing LUL approved industrial cleats that are suitable for indoor dry normal industrial use or outdoor unpolluted areas with operating temperatures -60ºC to +105ºC. Hook cleats provide safe and reliable cable support either directly to a wall or located directly to cable tray, ladder or Unistrut. Hook cleats feature a two part design with a single bolt fixing enabling the cleats to be installed temporarily in an open position. Prysmian hook cleats form part of the BICON cable cleat range which includes trefoil, Afumex, claw and stainless steel Multicleats. In all applications the hook cleats should be mounted using suitable M10 fixings. When mounting the cleats directly on channel, adaptor plate 380AG02 should be used. 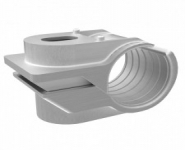 Call T&D to discuss your cable cleat, clamp and hanger requirements for LV, MV & HV cables. 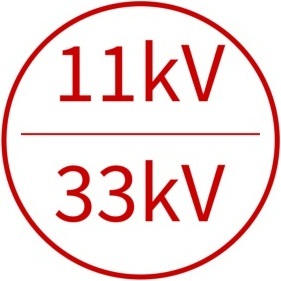 We are specialists in the distribution of 11kV-33kV high voltage power cable accessories including cleats, joints, terminations and cable jointers tooling.